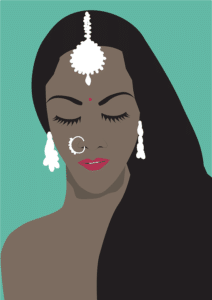 The Windfall, originally a Book of the Month pick in 2017, tells the story of an average, well-to-do Indian family who come into a sudden windfall and nearly crash under the social pressures of their new status. It’s a “keeping up with the Jones” type of story with a little humor, a lot of bite, and an undertone of sadness. Mr. Jha has worked hard to build his unique services website idea, managing to hold onto a shabby apartment in an average Delhi suburb and send his son, Rupak, to an American college. Not too bad, really. A paunchy middle aged-man settled into the way of things, mostly content, a sudden cool $20 million changes everything. It’s time to give the gossiping neighbors something to really talk about – something better than tales of stolen yoga pants and potential impropriety from the lonely widow, Mrs. Ray. With all this money, Mr. Jha suddenly realizes just how unhappy he really is, or at least should have been. It’s time for a behemoth Mercedes Benz (that can barely merge among the foot traffic and food stands of the marketplace) and a couch bedazzled with Swarovski crystals (which, admittedly, hurt to sit on). Mrs. Jha, the long suffering and simple wife with her down-home virtues and satisfaction, slowly watches as her husband becomes a fiend to status and money. When Mr. Jha insists on moving to the stratospherically affluent (read, exclusive and snooty) neighborhood of Gurgon in East Delhi, his personality change seems to become permanent leaving their marriage, and their home of twenty plus years, far behind. Enter new neighbors and the Jha’s ever-increasing battle to prove their worthiness to live in this high-flying world where trips to New York and Tiffany purchases are a requirement and an idle, useless son is a sign of wealth. Meanwhile, the Jha’s old friend, the beleaguered Mrs. Ray, finds something good in the strange new world her elevated friends now circle in. A visit to Gurgon changes her too, but instead of accepting loneliness and isolation, she instead begins to reevaluate tradition. Perhaps it’s time she thwarted the forever-a-widow expectation. Perhaps it’s time she thought of herself and let someone else into her life. But . . . what will the neighbors in the Jha’s old complex, where she is stuck living, ever say to that! 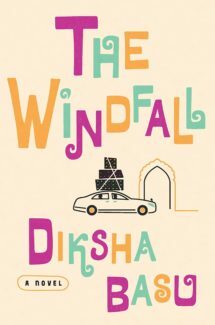 The Windfall, written by Indian actress and author Diksha Basu, has been touted as a comedy of errors, a mostly amusing story with a moral in among the outlandish situations and the laughs. Yet, really, it’s something far more somber, something that evokes the bleak superficiality that it mocks. Mr. and Mrs. Jha are introduced to us at the very beginning of their new lives, the night Mr. Jha is boasting to his friends (and soon to be ex neighbors) about how much money he’s made and just how big he has made it. He might as well show off the new dishwasher he had installed earlier that day – if he can just find a way to nudge it into the conversation. And so, we start with little to no insight on him, instead sensing the change through his wife who is reluctant to leave what she was raised in and what she knows. 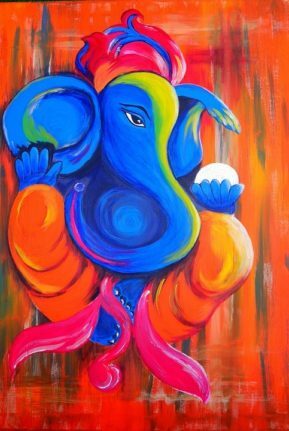 Mr. Jha then begins as a ridiculous caricature, continually growing in absurdity without ever obtaining a relatable human substance. We get what he stands for – why he is doing all this – but we don’t believe it. We neither root for him nor feel sorry for him. We just idly smirk in the background and wait to hear about the latest gadget he plans on buying and showing off to the unwary visitor or new neighbor. He is mostly too pathetic, too desperate, too on the surface, to believe anyway. Conversely, Mrs. Jha is too saintly. She doesn’t want a fancy house, she doesn’t want away from prying neighbors, she doesn’t want new furniture, new clothes, cooks and servants . . . any of it. The lesson Mr. Jha has to learn she already, perfectly knows. She hovers in the background, judging and shining. Twenty million doesn’t change her – she isn’t even tempted – not even to buy a new dress. And so, while her husband goes overboard buying everything imaginable, she remains utterly austere and even loathes the money, in favor of staying in a house with a kitchen that has no air conditioning. Me thinks the lady doth protest too much. While the Jha’s are having their opposite crises over the $20 million (one hating it and the other trying to spend it all as soon as possible), their son in the states is torn over tradition and his failing grades. Involved with a blonde haired, pot smoking American girl, Rupak doesn’t want his parents to know that he hasn’t picked an Indian girl . . . that he has even picked at all instead of waiting for his love life to be arranged. Add to this the fact that his sudden liberation is resulting in bad grades. While his parents think about all their money, he seems blissfully unaware (although he does know) and unencumbered by any sudden desire to profit. Instead, he’s afraid of disapproval and flounders from one teenage laden decision to another, disappointing pretty much everyone along the way. Mrs. Ray is the only character that is truly relatable and empathetic, although she too is standing in place of an idea instead of representing the full complexity of a person. Her desire for romance, plus the book’s overall soft spot for arranged marriages, hits up against the wordly realities of being widowed young. Her care is still heavily involved in what others think, the prevailing message here, yet there is something distinctly human as she combats a lifelong teaching and her own loneliness. Overall, The Windfall is mostly forgettable. The characters may confront big themes: money, status, relationship, finding one’s rightful place in the world, the desire to fit in (at any age), etc. yet they all are mostly wooden. We laugh occasionally at Mr. Jha’s over-the-top foolishness, but the staccato telling of the book, the certain dryness behind the words and the focus on what everyone does as opposed to who they really are cancels any depth. It’s a story we read and sort of enjoy, but not one we seek. Indeed, it’s one we often leave sitting on the night able, gathering dust, only to remember that darn it we need to finish that already.